Customer experience goes a long way toward building brand loyalty. 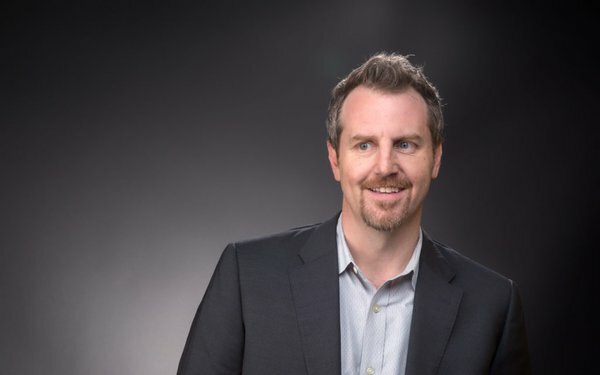 In April, Verizon hired Scott Zimmer as chief CX officer to “connect the dots of customer experience” for the company, ensuring a seamless experience that meets customers’ needs wherever they are. Part of that job has included reimagining Verizon’s brick-and-mortar retail operations. The company earlier this week opened a new concept store in San Francisco, built along a new model of customer experience. Marketing Daily spoke with Zimmer about the new store and his approach to connecting the dots. What is Verizon doing to improve its customer experience and how does that address issues the company and/or industry might have had before? In bringing me aboard in a new role, Verizon is leaning forward to make an effort to connect the dots of our customer experience across the multiple different touchpoints a customer may have with us. We’re a large company, and we have a lot of areas that are customer-focused. Having a role and a team that’s stretching across those areas is going to be an advantage for us going forward. How do you connect those dots? There are a lot of them and you’re not a small company. It really comes down to understanding the customer’s journey and defining the various ways a customer might interact with us and ensuring there’s a continuity and communication between those touchpoints. Getting to know the various aspects of Verizon — I’m still new and learning a lot — it’s a huge opportunity to make everything more cohesive. Has it not been cohesive in the past? The teams of different [customer-service] aspects exist in different parts of the company. If you’re a customer, you’re expecting to deal with one brand. To link those touchpoints with common language and options, so it feels like the customer is served similarly — no matter where that is — is where I’ve been focused so far. Why has that not been addressed this way in the past? You typically find teams will zero in and make a huge effort to solve for a specific area, and they’ll get into understanding where the customer is at when they interact in that channel and how best to solve the customer’s needs [there]. Then you find a different channel is zeroing in on the same customer problem in a different way. What we’re trying to do is look at it as a single opportunity to serve the customer, and think about how we translate a solution in a similar way across multiple channels. How does the new store reflect that approach? You typically look at a retail experience in somewhat isolation. What we’re doing is taking a view of the retail experience and identifying what customers are trying to accomplish in that environment, what other touchpoints they may have had, and how we can ensure a consistent experience. That’s a familiar struggle for everyone. How are you approaching it differently? One of our unique takes is humanizing both [online and offline] touchpoints — really understanding how customers think in a shopping experience, knowing what decisions they need to make, and in what order. And in a physical environment, it's finding ways that are logical and intuitive. And in the digital architecture, it’s doing the same. If a customer experiences one first and a second in a follow-up, to make sure [the experience] matches in both directions. How do you go about discovering that? We start wth insights. One of the things I’m excited about in how Verizon has framed this role in customer insights as a function of an experience organization that I lead. We’re able to focus on a shopping experience or a service experience that begins with insights and then looking across channels as we look to innovate and improve the experience. What you have with the stores is our latest and greatest ability to make it more intuitive and align with what customers are trying to accomplish in a physical location. How does that come across in this new store? We look to understand what’s changed and why customers would visit us in a physical location. We realized people are trying to get something quickly, and we studied how customers are using other interactions at a newsstand or a bookstore. What you’ll find in our store experience is it’s a spacious layout with wood and other things that humanize the technology and make it more comfortable. We’ve included tables and areas for people to have deeper conversations if they want to stay awhile. And we’ve opened up the opportunity to have a more human service interaction than you might expect with a tech or retail store. How are you planning to roll this concept out nationally, and what’s the timeline? This is our flagship location. We will be opening stores like this across the entire footprint. The timeline is being finalized, but the roll-out begins with this opening. Our approach is we want a consistent experience regardless of which store they come into and no matter which channel they choose to interact with us. It’s great to redo your stores, but if you don’t follow through with the way your staff interacts with customers, it’s still the same experience. How are you reimagining that? The staff in our stores and on our telephone lines are the heroes of our customer experiences. That group is always [improving] how they best serve the customer. When we make updates on the retail experience, we’re matching the way our employees have evolved servicing customers. We’ve put a lot of pride in ensuring our employees are empowered to serve customers in every way possible. The stores are a physical manifestation of the way our staff was serving the customers.